Mitsubishi Materials Group has become the latest member to join the University of Strathclyde’s Advanced Forming Research Centre (AFRC), part of the High Value Manufacturing Catapult. 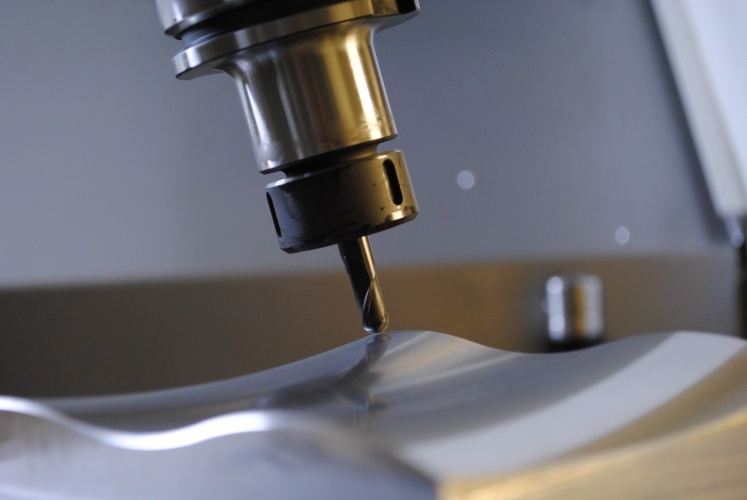 The subsidiary of the Japanese multinational manufactures high-end cutting tools, and will use AFRC as a test facility to develop new products and production processes for industries including oil and gas, aerospace and automotive. According to the AFRC, the agreement will also allow Mitsubishi to trial its cutting tools in Britain, and give the company better access to UK markets. In the summer of 1939, immediately after graduation (as it happens in Physics from Leeds University) Albert was ‘drafted’ to the Royal Navy Mines development section in Gosport, Hants. I recall his humourous description(s) of trying to persuade crusty admirals that larger and larger ‘bangs’ were of little use if there was nothing close by that could be detected to be sunk! He too was I am sure allocated to the awquard squad. Albert eventually crossed swords (perhaps that should be cutting-tools) with the DTI -suitably in awe to the Grocer’s daughter, trying to make the case for continued support for Machine tool development to support that Industry. It is obvious that he (and many others) failed: we now have virtually no machine-tool manufacture whatsoever. But we do have a knowledge-based economy -whatever that is?